What is God calling your church to do? 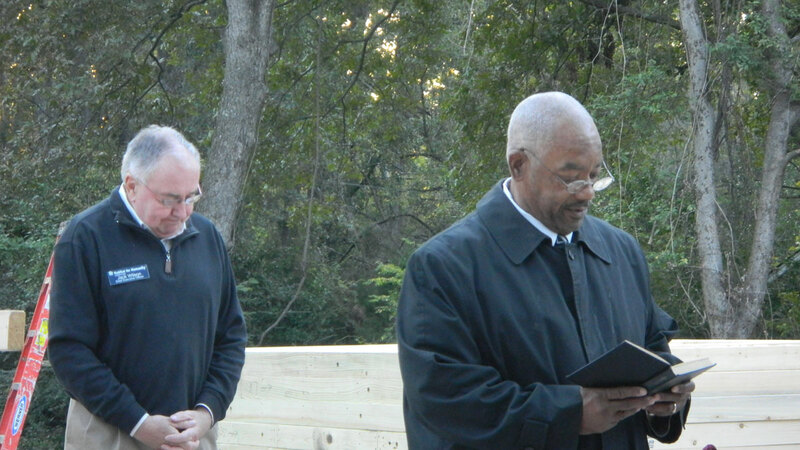 Habitat’s work depends upon the faithful prayers of Smith County citizens. Encourage your congregation to include Habitat for Humanity of Smith County in its mission work. Make Habitat for Humanity of Smith County a part of your budget or take special offerings. Raise funds to build all or part of a house. A congregation may sponsor a house individually or join with other congregations to raise the money and build a house together. Tithe. Set aside one-tenth of regular donations for Habitat projects. Serve on Habitat committees. Individuals are always needed to help with acquiring land, finding and selecting qualified homeowner applicants, nurturing family partners, recruiting church support and more. Continue to be a voice for those in need even after construction is complete. Make the commitment to become advocates for decent, affordable housing.